MSE Creative Consulting Blog: How Did That Long-Range Forecast Work Out? I'm trying to fit a number of pieces on the blog today in between coverage of snow storms. On November 30, I published a forecast for the "middle third" of December titled, "Is This the Long-Awaited Pattern Change?" in which I discussed a turn to a wetter weather pattern for the central third of the nation. As long-time readers know, I believe meteorologists should hold themselves accountable for this type of forecast and I routinely perform a post-forecast analysis. 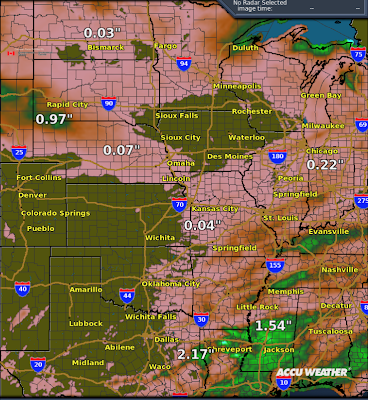 For the record, here is the rainfall the eleven previous days when the forecast was made. It was quite dry over much of the region. The unshaded areas (olive background) had no precipitation. AccuWeather's AccuRain data. I have added some point amounts. 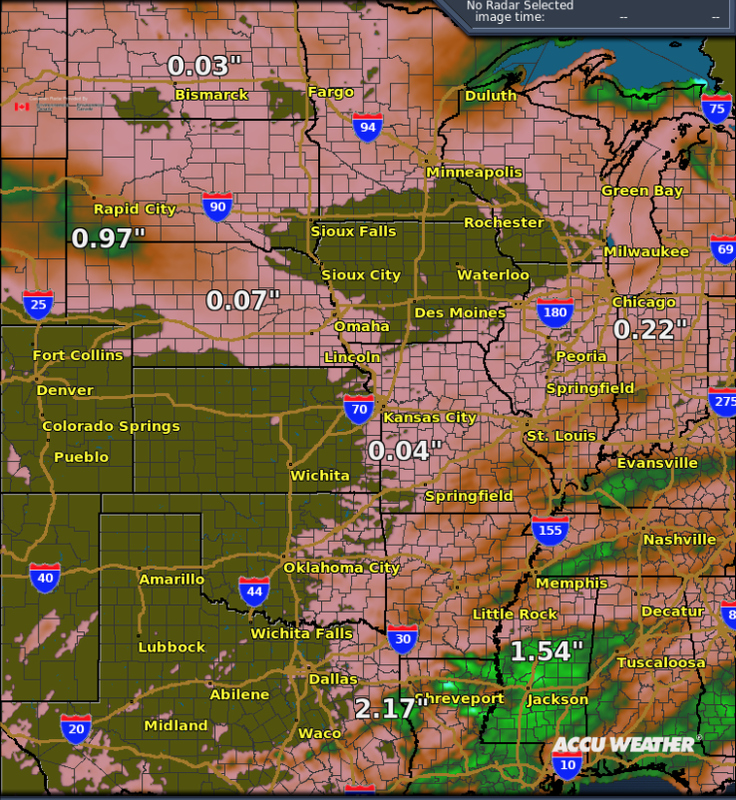 Here is the precipitation (rain and moisture content of snow) for the middle third of December (10th to 21st). 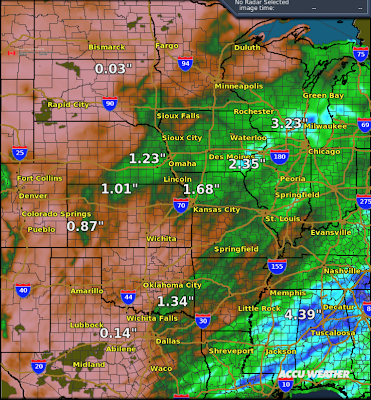 There is no question it was "wetter" as just about everyone got some measurable precipitation. The precipitation to the east of a north-south line through Kansas City is about was I was expecting. However, to the west, it was lighter and less widespread than I thought it would be. For a long-range forecast, I'd give this a "B." The good news is that the pattern is still much more conducive to moisture than it was during much of 2012 and more storms are on the way to the drought-stricken region. I'll start coverage on that this afternoon.